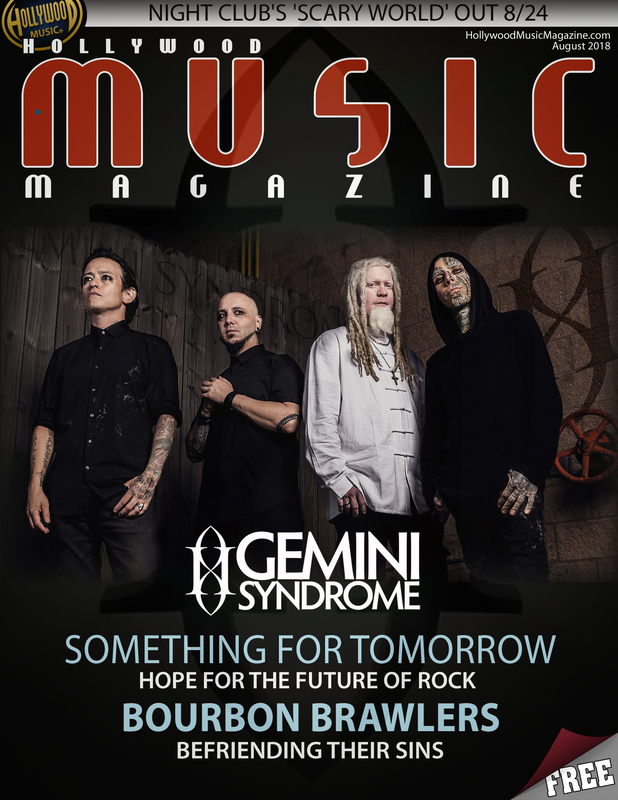 Gemini Syndrome is one of our all times faves here at Hollywood Music and we are stoked to be interviewing the mighty Aaron Nordstrom. Here’s Aaron on the upcoming album, tours and the ultimate knowledge given to him from dimensional beings. Some of your fans describe Gemini Syndrome as an “enlightened band.” What do you think they mean by that? I think it has to do with the subject matter we talk about. There’s a lot of esoteric and philosophical material that’s covered because that’s what we’re interested in. I wouldn’t call is enlightened though as that would be impossible and pretentious. How do you think Gemini Syndrome have progressed as players and people since the band’s inception? We’ve gotten to know each other on a deeper level. That happens when you spend years with people and that helps us push each other and ourselves as people and players. How do you think your music has progressed and evolved since Lux? Much like the above question, you find a groove with each other. We’re always trying to outdo the last thing we did. I think it got more mature for lack of a better word. And again, as players we are always trying to do more. You’re working on a new album. How is that progressing? Where are you at in the recording process? Name? Number of songs? Potential drop date? It’s coming along well. It’s adapting and changing as we’ve always tried to do. Having Meegs writing in the band adds a new dimension of sound and creativity as well, which I feel is going to make it a fresh change for us. As for name and number of songs, we’re still keeping that a secret. Ssshhh. How are you challenging each other to make the new album even better than the others? That happens naturally. I think we’re all pushing ourselves in our personal lives and as players and all of those things kind of fit together in a natural way. What subjects are you tackling lyrically for the new album? Aaron studies and practices Kung Fu. Do any of the other members practice martial arts? And Aaron, how does Kung Fu help you be a better performer and ultimately better human? The other guys dabble in the arts but I’m primarily the martial artist so to say. Kung Fu is life, so it really penetrates everything I do. We asked a few fans for their questions and here ya go! Where do they keep their favorite fans stashed? In their dungeon? What is Aaron’s favorite duck he’s received? All the time. It’s kinda what we do. Is everything one big poop joke? According to an experience I had with beings from another dimension, yes. And lastly, what are Gemini Syndrome’s plans for 2019? Obviously release a great album and tour on it. Keep doing what we do, but bigger and better than before. If there’s anything else you would like to add please do. We’re humbled by the support we have. This has grown into a family and community and we want to see it grow stronger and larger. We love you.